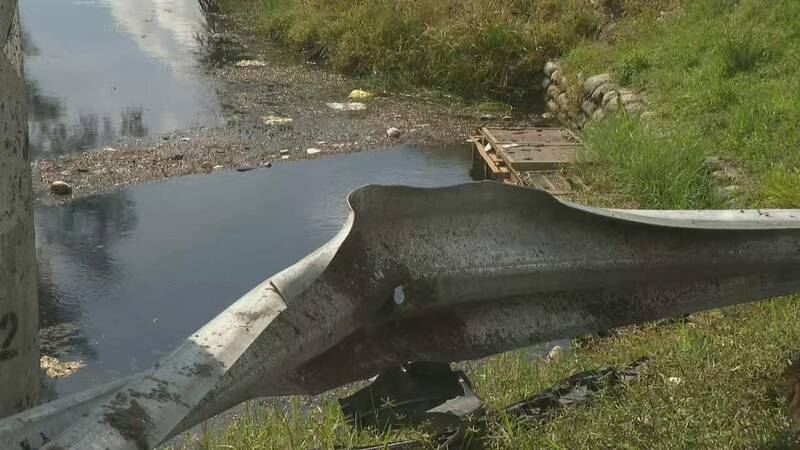 MIAMI-DADE COUNTY, Fla. - A group of good Samaritans rescued a man Sunday, pulling him from the water after his car plunged into a canal in northwest Miami-Dade County, authorities said. A spokesman for Miami-Dade County Fire Rescue said the crash happened just before 3 p.m. near Northwest 202nd Street and Northwest 57th Avenue. By the time rescue crews arrived, the driver had escaped the vehicle thanks to Braulio Galindo and a few other men. "I was making a left turn down 57th, and I saw a car going into the lake," Galindo said. "When I parked my vehicle, I jumped in. The guy was unconscious. We managed to get him out, give him CPR. He came back to life." Divers searched the water for other victims, but it's believed that the man was alone in the car. Paramedics airlifted the man to a local hospital. His condition was not disclosed. The Florida Highway Patrol is investigating why the driver lost control and veered off the road. Galindo is just relieved that he may have played a role in saving a man’s life. "Right place at the right time. I didn't think about it. I just jumped in and rescued the guy. I guess God used me for something good," Galindo said.